Description: New Acer laptop cpu fan and heatsink. There are 3 different fans for the models listed. Please compare your fan with the one in the picture to make sure that you are ordering the correct one. 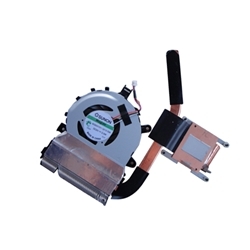 This may be the replacement part that you need if your laptop is overheating or restarting. Acer Aspire 4745, 4745G, 4745Z, 4820, 4820G, 4820T, 4820TG, 4820TZG, 5820, 5820G, 5820T, 5820TZ, 5820TZG.